The full-scale of the economic effects of Brexit are yet to be fully realised by the markets. But one thing is for sure, much uncertainty beckons. Just over two months have passed since Britain voted to leave the European Union – and the result has many Forex traders asking: how do I best trade Brexit? Since the referendum result, pound sterling has fallen to 1.325 against the US dollar (at the time of writing). In the hours leading up to the referendum result, pound sterling was at 1.479 against the US dollar – so the fall has been significant. In fact, the drop represented a 31-year low for the British currency. At this present time, it seems the pound has stabilised around the 1.300 – 1.320 range, but with the triggering of Article 50 (the legal legislation to officially leave the EU) likely to happen in early 2017, it’s sensible to suggest that the pound has some volatility ahead. So what does this mean for Forex traders? Those with a low tolerance for risk may want to consider trading ‘safe haven’ instruments – such as the US dollar, Japanese yen or Gold. However, it’s difficult to say whether sterling has hit its ‘floor’ after the referendum result – potentially leaving a good buying opportunity for long-term traders (a concept we explore in the next section). At the beginning of August 2016, the Bank of England cut its interest rate to a record low of 0.25% from 0.5% – designed to kick-start the British economy and prevent a recession after the EU referendum. This reaction from the Bank of England shows there was clearly anxiety around how the British economy would react to a ‘leave’ vote. One of the major themes of the Britain Stronger in Europe campaign was to highlight the negative economic consequences of being outside the EU. But if we look at some economic data since the referendum, it suggests that the prediction of an immediate recession seem to be inaccurate. In July, the UK unemployment rate fell to an 11-year low. What’s more, the falling price in the pound sterling seems to have helped manufacturing and exports, with PMI (Purchasing Managers’ Index) for August increasing to 53.3 from 48.3 the month before. It’s conceivable that while the European Union takes time to reform after the Brexit vote, Britain and its economy could prove resilient and nimble with its monetary policy and trade arrangements. 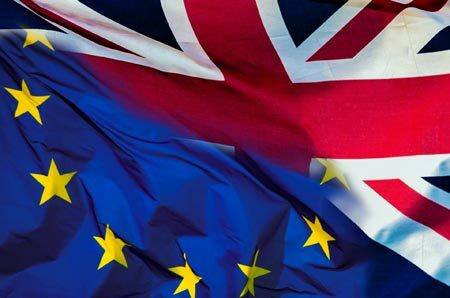 To effectively trade Brexit, Forex traders need to be constantly monitoring new macroeconomic data and the ramifications for both Britain, the European Union and the global economy. One such example is the development concerning the European Commission and Apple regarding the level of corporate tax they pay to the Irish government. It’s transpired that the European Commission has produced a $13 billion tax bill to the Silicon Valley giants, to cover taxes that Apple has allegedly not paid to the Irish government. The grounds for doing this are to ensure there is a ‘level playing field’ for EU member states when it comes to attracting foreign investment with low corporate tax rates. However, such a move has real consequences for the EU as an institution (who have angered the Irish government), along with the ability to attract foreign companies to set up and invest in EU member states – as Apple has since stated that the move damages their confidence to invest in Europe. The above scenario is one of many that can manifest into political instability within the EU, perhaps leading to further demands for ‘leave’ referendums. This, of course, would have a tangible impact on the financial markets.